I'm delighted to welcome Marilyn Baxter to The Romance Dish today. I first met Marilyn at the 2008 Romance Writers of America national conference. It's been a pleasure to follow her writing journey over the past six years. 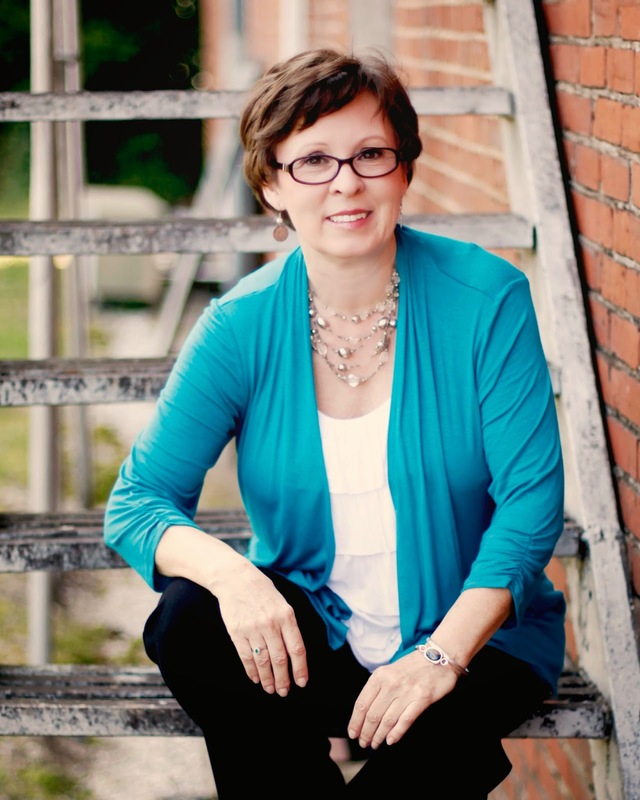 She's published more than 40 stories in romance magazines and confessions as well as teaching classes in how to write effectively in the genre. Her newest story, Better as a Memory is a novella with the heart and depth of a full-length novel. Published by Boroughs Publishing Group, it's available from both Amazon and Barnes and Noble. You can find more information about Marilyn at her website and connect with her online at Facebook and Twitter. Hi Marilyn! Welcome to the Romance Dish. It’s a pleasure to host you today. Let’s kick things off by introducing your new novella, Better as a Memory. Please tell our readers what they can expect from this story. There’s love, laughter, some emotional twists and turns, a dose of Southern hospitality and a happily ever after ending. Second chance love is one of my favorite romance themes. What was it about Victoria and Max that convinced you they could make a go of it the second time around? I enjoy stories with intriguing secondary characters and Max’s sister, Kate captured my attention. Any chance that she’ll have a story to tell? I sure hope so! I just haven’t figured her out yet. She’s a savvy businesswoman and I have to figure out who’s the worst hero I can pair her with and the worst circumstance I can put them in. I went to a Leanne Banks workshop once where she said to put your characters up a tree and shoot at them. I gotta find that tree and decide what caliber bullets to use. Let’s talk about you a bit. You’re a newly published romance author. Will you please share your journey to publication with us? In high school and college I wrote horrible poetry and thank goodness it never survived multiple moves. Then in the late 90’s I got hooked on a TV show and started reading fanfiction based around it. After a while, I decided to try my hand and wrote a few stories about Lois Lane, Clark Kent and Superman. I discovered romance novels when someone plagiarized a Harlequin romance on our fanfiction site. I offered to track down the original book and read it to make sure we weren’t accusing someone falsely. And I loved the book! Where had these been all my life??? I started reading more of them and realized I’d been writing romance fanfiction. So why not write about my own characters and see if I could get the stories published? I looked up romance websites and eventually found my way to RWA and my local chapter. My first published works were actually in 2006 when I sold a story to True Confessions. “Death & Taxes” didn’t have my name on it, but I knew I’d written it. After dickering around with an idea for a novel for too many years, I finally wrote it for NaNoWriMo in 2008. Several months later I entered it in an online pitch contest for Harlequin Special Edition and finaled in the contest. I got a request and a rejection, but I knew then I could write a novel. My journey got interrupted, however, by a divorce and writer’s block (it’s pretty hard to write about happily ever after when yours comes to an end), but after some time to grieve, I began writing again. Last year, the Editor in Chief of Boroughs Publishing Group visited my RWA chapter and promoted their novella contest. I entered. I finaled. And BETTER AS A MEMORY is the result. Earlier this year, I had a short story, TEA FOR TWO, released in their Lunchbox Romance line. I enjoy things that are a little absurd, weird and wonderful. Several years ago two girlfriends and I attended the RC & Moon Pie Festival in Bell Buckle, Tennessee. They had Moon Pies in all varieties including deep-fried ones (and no, I didn’t try one), and the day included entertainment in the form of Synchronized Wading (think synchronized swimming but in ankle deep water in a kiddle pool). It was a hoot! I’ve also seen pyramids on two continents. I rode a camel to see the Great Pyramids of Egypt and the Sphnix (by the way, camels are mean, nasty creatures). I’ve also seen the El Castillo pyramid at Chichen Itza in the Yucatan peninsula of Mexico. They’re all amazing and completely baffling. How on earth DID they build them? You’re quite the world traveler. Of all the countries you’ve visited, which is your favorite and why? Which country that you haven’t yet visited tops your bucket list? I haven’t visited a country yet I didn’t enjoy. But I’m still basking in the afterglow of Ireland. Parts of the country are very much like the southeastern U.S. and I can understand why so many Irish people settled here. The Emerald Isle really is green. And the people are so friendly. You have to love a country where all the men hold open doors for you and call you “dear” in a completely genuine manner. I have a couple ideas whirling around in my head – all set in Ireland. One involves a woman who inherits a house in Ireland she doesn’t want and another begins with a pregnant woman showing up at a bar in Dublin asking for the man she had a fling with in Boston. And there’s an unfinished NaNoWriMo project I want to finish. I’m re-thinking what I write, though, and that’s why I’m still in the idea mode. After reading several books by NY Times bestsellers that focused more on the emotional than the physical aspect of the romance, I’m realizing I want to do this too – to dig deeper into the characters, put them higher up that tree I referred to earlier and use really big guns to shoot at them. Thank you for visiting with us today, Marilyn! Would you like to ask our readers a question? Would you like a chance to win an Amazon gift card for reading BETTER AS A MEMORY? Everyone who leaves an honest review of it between today and midnight Central Time next Monday will be in the running. Email me a link to your review at readmarilynbaxter at gmail dot com. Review on Amazon, Barnes & Noble, Goodreads or your blog to increase your chances. I’ll draw a week from today and post the winner on Facebook and email them directly. You can friend me at https://www.facebook.com/marilyn.baxter.372. PJ here. Your turn, readers. Tell us something we'd be surprised to learn about you! 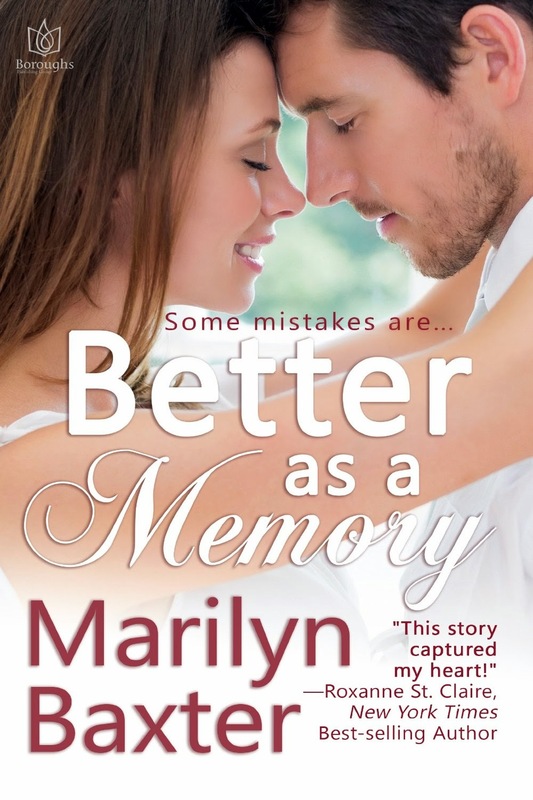 To introduce you to Marilyn's writing, I'm giving away a download of BETTER AS A MEMORY (Kindle or Nook) to two randomly chosen people who leave a comment on today's blog before 10:00 pm EST May 21, 2014. Welcome, Marilyn! Congrats on the release of BETTER AS A MEMORY. One of the things I most enjoyed about this story is that, at 96 pages, it's a quick read yet when I turned the final page I had that fully satisfied feeling that I usually only receive from a full-length book. I'm a fan of well-written novellas and looking forward to more from you! Thanks for having me Patty. I remember meeting you at that breakfast in San Francisco! Has it been that many years? Time flies, doesn't it? Congrats on your new book coming out. What an accomplishment. I can't wait to read it. Thanks regencygirl. I hope you enjoy Victoria and Max's story! Aren't we romance writers a devilish lo, Chrissyt? Mwahahahaha. Congrats on your new book Marilyn! Sounds great! Congrats in advance on that 25th anniversary! It does get less hectic after the kiddies are grown -- unless you take up oodles of hobbies that take time. LOL! 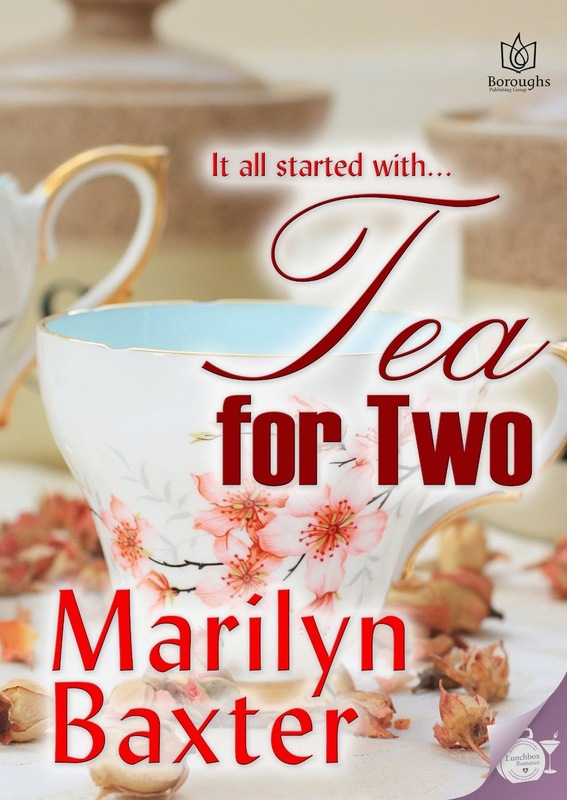 You hit all my buttons in this interview, Marilyn: travel, food, quirky pastimes, and romance! I'm thinking of doing this tour when I visit my son: http://www.lazoomtours.com/ . I sounds like such fun! My sister and I did the Nash Trash Tour in Nashville, TN a while back. What a riot! Marilyn, so glad to see my "roomie" making her mark in romance writing--my favorite reading genre. And all because of my all time favorite TV show, Lois and Clark, which brought us together as fans and friends. Keep Calm and Write On! Roomie! Great to see you here! I still remember discussing romance novels with you in Tennessee. Hope the group can get together again soon. Best wishes on your first book and that Moon Pie festival sounds wonderful. I used to live near Chattanooga, so I am a fan of Moon pies. I'll tell a little secret on my sister. She's a CPA and every year during tax season, she has a certain food she binges on to keep her going through the long hours of doing tax returns. More often than not, it's Moon Pies. I like the original ones but not the new flavors they've come out with originally. And I love Chattanooga! A girlfriend and I have been trying to plan a weekend trip there for ages but we can't find a weekend where both of us are free. Bummer. I've known Marilyn for several years now. We're both part of a fun group of authors who met at eHarlequin where we participated in their writing round robins, and writing challenges. Marilyn's work has been wonderful. Do yourself a favor, pick up her books, you will not be sorry! Hi Donna! Those were the good ole days, weren't they? I still have some of those writing challenges on my hard drive. And thanks for the compliments. I'm with you, Gannon. Give me an Irish setting and I'm there! Gannon! My North Carolina buddy! I'm headed to the Smokies this weekend to visit my son. I've never met anyone who didn't like Ireland. It's just a magical place. And I sure hope I can go back one day. As for all the notes you hit, well, the mulling around an Irish story always seems promising. I am excited for your new one, will read and write honest review but also excited about your journey...it seemed full of travel and unfortunately some heartbreak. I wonder if those life lessons translate into a story? Anyway, it is wonderful to meet you, about to do my daily treadmill walk and this day, I will read your book as I walk! Hi Hope! I certainly hope the life lessons translate to a story some day. I just have to finish going through that part of the journey before I can write it without bitterness. Meanwhile, I'll keep mulling over the Irish setting ideas and well... we'll see! Congratulations on your new book! Not much about me that surprises anyone - except maybe the rate at which I've gained grandchildren this past year! All three of my kids have had babies in the past 15 months! What fun, Kelly! And how great that the cousins will all grow up together. Congrats on the new release!!! This sounds awesome :) Ummm... I love reality TV like Cops, Duck Dynasty, Alaskan State Troopers and HGTV. But I can't stand the celebrity, rich peep problem shows. And I only eat M&Ms in colored pairs. Thanks for the fun interview! Erin, I don't like the celebrity reality shows either (though I will admit I got sucked into the drama of Dance Moms one night). OMG! I do like Survivor though. All that scheming and blindsiding is crazy. M&Ms in colored pairs, huh? I just eat 'em! I love M&Ms -- plain or peanut. Congratulations on your novella. That is such a good length. We all tend to get busy and sinking our teeth into a long book isn't an option. I like the time to savor them and make sure I don't miss anything. It is one reason I like anthologies, which before e-books, was the only way to get the novellas. It sounds like you have overcome the main complaint most people have about them - not a deep enough story or character development. I have climbed two active volcanoes. One was a cinder cone that was hot and melted the soles of my sneakers. The crater was just sort of steamy. The second was multiple cinder cones. That one wasn't as hot on the slope, but it was belching out smoke ash and red rocks. I looked down inside the crater from the rim on both of them. Amazing the stupid things you will do in your 20's. I couldn't even climb the slope today. Thanks Pat, for the compliments! I like novellas too and didn't intentionally set out to write one, but did it because of a contest. Now I find I love that length. Volcano climbing? You liked to live dangerously then, huh? I want to go ziplining and hope I get the opportunity before I'm too old to hang onto the thing. LOL! Thanks again, Patty, for having me. Sorry I wasn't able to comment last night. I was felled by a headache that kept me away from the computer. It was great to see some familiar faces here and meet some new folks! If you're going to be at the RWA conference in San Antonio this summer, please say hello if you see me. I always love to meet new folks.